One of our friendly Crew team members will call you back on the number provided within 24 hours. Crew Products Are Your experts For custom design, fabrication and installation. 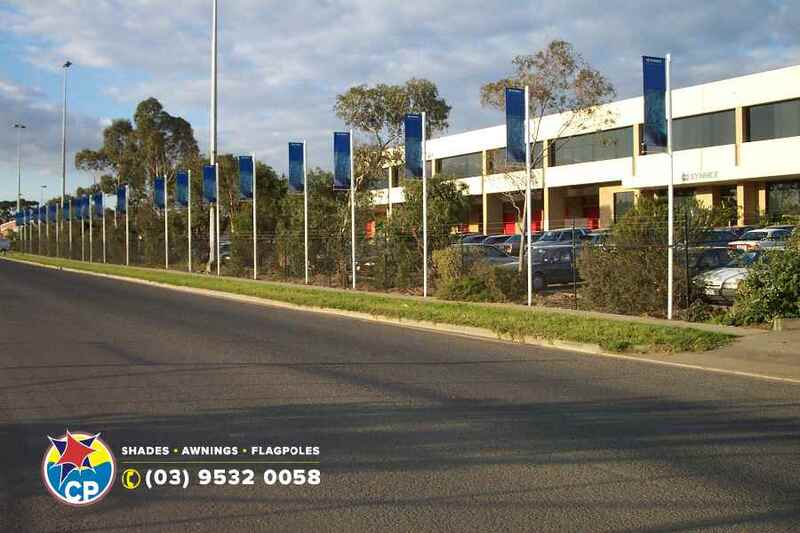 shade solutions, Blinds and Flag Poles in Melbourne. Crew Products have $20 Million Public and Product Liability Insurance. 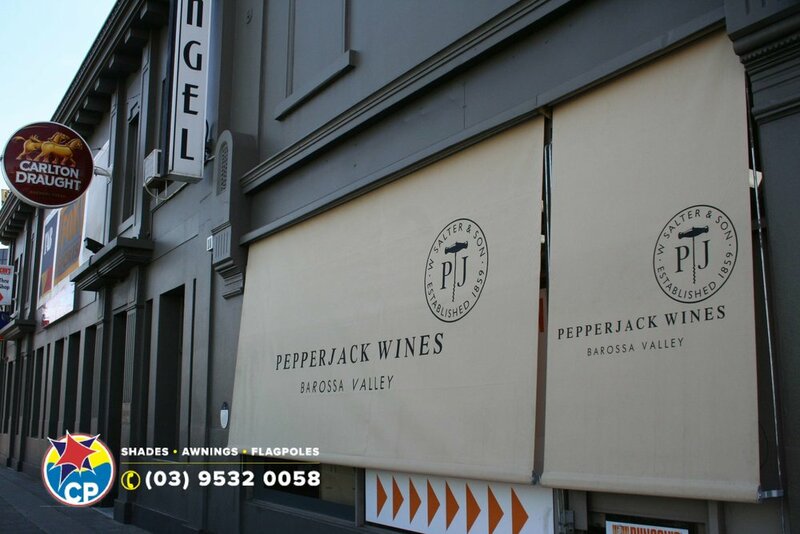 Our shade products feature shade cloth, waterproof material, fixed and retractable folding arm awnings. 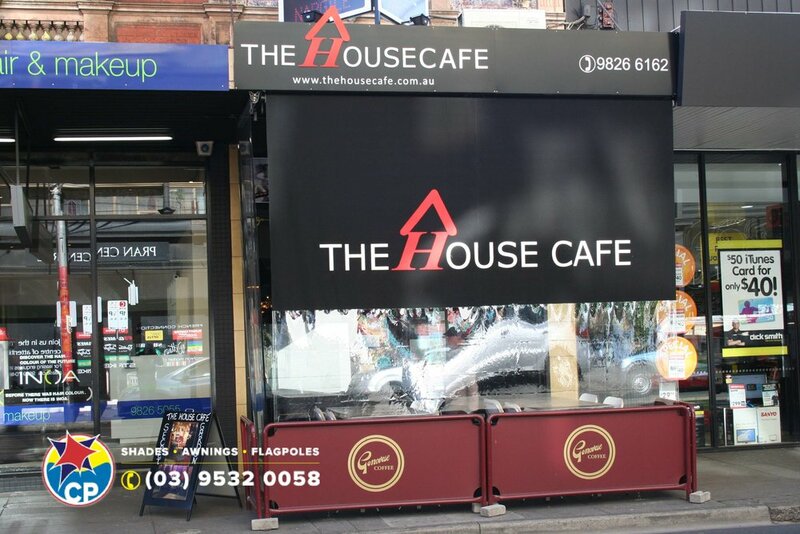 View our broad range of custom design products, including; branded products, flags, canopies and privacy screens. Helping you protect what you value most with privacy, UV and weather protection solutions. to confirm a start date. Shade sails and structures custom made. 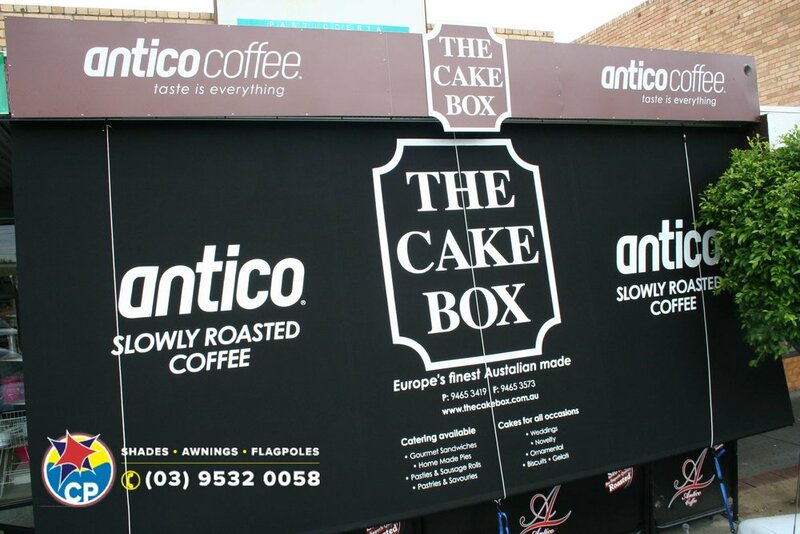 Designed and installed for commercial, government and residential developments. 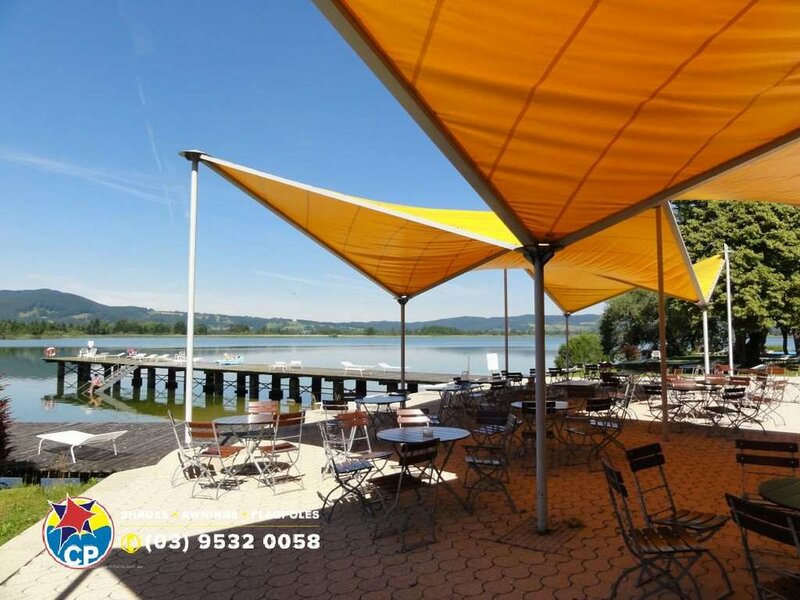 Our shade sails and structures are customisable and versatile featuring heavy duty shade cloth and waterproof vinyl fabrics. We have a wide fabric range of commercial quality heavy duty cloths in an extensive variety of colour options. 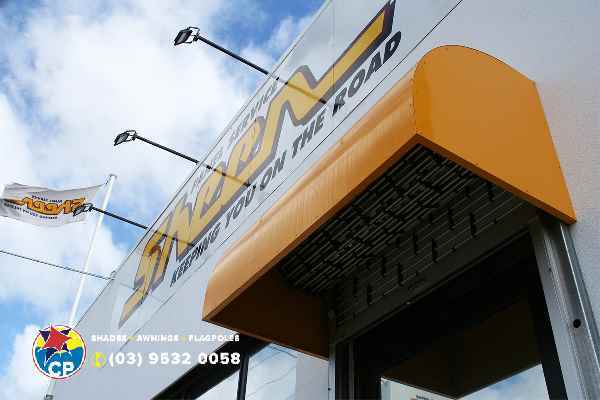 The benefits of our customisable awnings boast a great range of designs, structures and materials to provide you with protection from the harsh Australian climate and weather conditions. Our fabrics come in a broad selection of colours to coordinate with your project design features. Crew Products offer a wide range of external blinds from manual to motorised, clear to fabric cloth. Designed to protect your property from the sun and wind they can be custom manufactured to meet your needs. 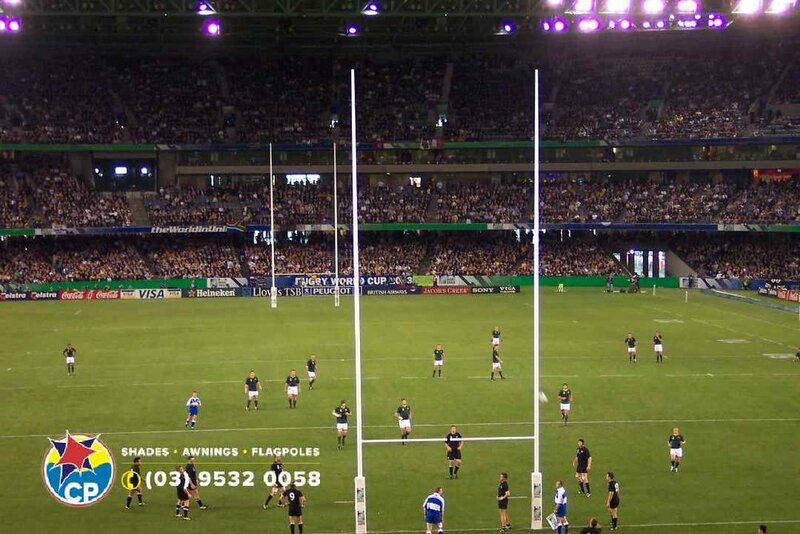 Fabricating in steel and aluminium, we produce a large range of flag and banner poles for all types of applications. Supporting the flagpoles we supply flags and banners along with service and repairs. Crew Products services commercial, government and residential customers from Melbourne Metro to Mornington Peninsula with the fabrication, installation and servicing of Shade Sail Structures, fixed, retractable and motorised Awnings, Flags, Flagpoles and Banner Poles, as well as sporting Goal Posts. We have a broad range of products, materials, accessories and ongoing servicing options which are backed by Manufacturers and Workmanship Warranties, $20 Million Public and Product Liability Insurance and 30 years in the business. Very competitive quote and excellent job, very happy with our new weatherproof sail, looks amazing. Dean and Wayne were very professional to deal with.